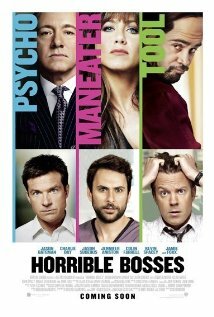 Horrible Bosses has a lot going for it: a catchy hook, a talented cast, and a slew of one-liners that would have Don Rickles taking notes. And yet, there’s something missing. The central idea is a variation of Strangers on a Train, which the screenwriters pay homage to at one point in the dialogue. I’m not giving away anything you can’t see on the trailer when I say it’s about three well-meaning, hard-working guys who plot to murder their horrible bosses. And they’re horrible bosses indeed, with Kevin Spacey, Jennifer Aniston, and an all-but-unrecognizable Colin Farrell committing every kind of enormity a boss can commit. In fact, their performances are the highlight of the movie. I mean, we want—we need!—our heroes to succeed at murdering these bosses. The three friends are played by Jason Bateman, Jason Sudeikis, and Charlie Day with the right mixture of likeability and zaniness. And in smaller roles, Jamie Foxx, Donald Sutherland, and Bob Newhart are all great. The central idea of the movie speaks to a feeling that has probably floated through lots of besieged workers’ minds at one time or another. And as quickly as their scheme takes shape, it begins to unravel, which is just what you want in a comedy. And the writing is often very clever. Kevin Spacey gets many of the best lines in a role he has played so often he should take out a patent on it. But Jennifer Aniston is very funny, too. And Colin Farrell’s role is an extended visual joke, complete with the mother of all comb-overs. At the showing I attended, they played a preview of Fright Night, in which Farrell plays a vampire. The contrast is so sharp, you have to slap yourself to realize both characters are played by the same actor. In short, I laughed. Not big belly laughs, but laughs. And The Sleeper stayed awake throughout, despite having spent several hours cleaning stalls and training her new horse. It’s almost as if movie producers sometimes buy a comedy script that has an inherently funny idea but may not be executed all that well. They must think that a cast of talented improv actors will punch up the script on the fly, during shooting. Which results in lines that are funny sort-of, but never funny ha-ha. One of the things that makes Bridesmaids so appealing was the fact that it’s about women. In bad boy comedies, the women are never more than prostitutes or disapproving voices on the other end of a phone. Bridesmaids is about more than its one-liners and shocking visuals; it’s about the nature of women’s friendships and about how hard it is to find love and fulfillment. In other words, it’s got interesting ideas and characters who change and grow over the course of the movie. We care about the Kristen Wiig character, about the survival of her friendship, and about her chances for happiness. In Horrible Bosses, each actor shows up with a clip full of one-liners but not much else. Still, I enjoyed it. I mean, you won’t find me pounding the ticket counter, demanding my money back. P.S. Are we going to have these generic titles for comedies from now on? The Hangover, Bridesmaids, Horrible Bosses. Whatever happened to evocative titles like Throw Momma from the Train, A Fish Called Wanda, and Young Frankenstein? lose yourself, even your ability to love or feel bonded to others. A great city is a moveable feast, as some smarty-pants once said about Paris. And one of the things that keep Allen’s city-dwellers bonded is their ability to appreciate the same elements of that feast. When Alvy Singer takes Annie Hall to see Night and Fog, it’s not only because the character is obsessed with the movie and with the Holocaust; it’s also a compatibility test. If you like the same movies, the same teams—if you’re appalled and amazed by the same things—chances are you’ll like each other. Take those touchstones away, and it’s not so clear. This is what makes the lobster scene so funny and, at the same time, touching. After losing Annie, he reaches out to someone new, only to find that the connection simply isn’t there. the city is removing yourself from all touchstones of value. But until now, every effort to find an alternate universe has led to complications. story of the 20th century) and in the movies Purple Rose of Cairo and even in Zelig. Characters who feel out of place in the here and now seek happiness—or at least a sense of belonging—in the there and then, in another time, another dimension. For Cecilia in The Purple Rose of Cairo, the there and then is the movies. For Kugelmass, modern life is less appealing than life in 19th-century France, particularly inside the novel Madame Bovary—until Emma decides to come back to his own time. And for Zelig, a figure who seems, in Vonnegut’s phrase, “unstuck in time,” happiness lies in none of the times in which the finds himself. He’s always at the edge of the frame, like Fra Angelico, startled to find himself there. But Midnight in Paris gives us Gil, played winsomely by Owen Wilson, who’s unhappily engaged to Inez (Rachel McAdams), but isn’t really aware of his unhappiness until—and this spoiler is self-evident from the trailer—he’s magically whisked from the Paris of 2011 to the Paris of the 1920’s. It’s a place complete with a cast of characters straight out of a Norton anthology of literature or a Jasper Fforde novel. There Gil discovers his true passion, his true talent, his truest self. Where “Kugelmass” plays this conceit for laughs, Paris plays it as pure romance. Not love, really, though Gil does fall in love with someone from the past, but romance for the self he might have been. A more hard-edged treatment of the theme would have shown the complications of inserting yourself into another time, but that would be a different movie, one Allen has already made a couple of times. 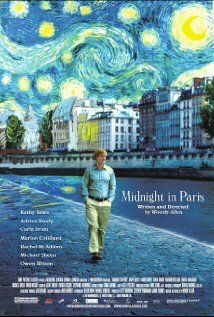 I have a thing against movies that are described as “charming” because it’s usually a nice way of saying “naive.” But Midnight in Paris is truly charming. It’s a love song to the Paris of the mind, where all our talents and passions come to life, where at last we become exactly the person we were meant to be in exactly the place where we belong. OK, sir? I know you’re a busy high-ranking military type guy, but before you toss this into Mr. Round Mouth, please hear me out. I recently saw your feature-length car commercial, the one you did with Lenovo, called Transformers: Dark of the Moon. And I have a confession and a request. Huntington-Whiteley. I was amazed by the way she could plump her lips up to the size of hotel pillows. So cool! But I digress. Before long, the car would only go in reverse, which made going to work an adventure every day. After taking out a few fences and backing over a few garbage cans, I got rid of it. I know—dumb, right? I didn’t know. I had no idea! No idea of its transformational properties. It never, you know, “came out” to me. If I had only known, I would never have abandoned it next to that derelict factory. So what I’m wondering is . . .
Do you, by any chance, know the whereabouts of my Nova? And can you get it back for me? I’m sure you keep track of all your cars, so it shouldn’t be too much trouble. Oh, and it would be awesome if you could trick it out like the cars in the commercial. When you deliver it, I’ll be happy to apologize to the car for abandoning it like that, as long as it apologizes for messing with me. I mean, what was with that only-in-reverse thing? Please be assured that I am more than willing to fight the good (food) fight. Kidding! 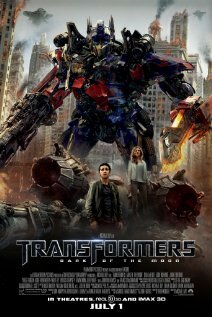 I’m just as gung-ho as Sam Witwicky in my eagerness to fight the Decepticons. If by “fight,” you mean “write.” And if by “Decepticons,” you mean the Hollywood hacks who make crap like Transformers: Dark of the Moon. Oh, and it would be really, really cool if you could have my old car in front of the house by the time I wake up on Monday morning. Gracias, your generalship, sir! 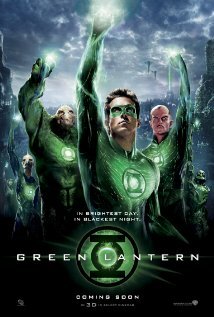 I’m not in the mood to jump on the bandwagon in criticizing Green Lantern. Because that would make me a hater. And besides, with production and marketing costs reported at about $400 million, and projected worldwide income at only about $270 million, it would be cruel to add more fuel to the fire. People might lose their jobs over this. Knowing Hollywood, though, they’ll just get promoted. Instead, I want to think aloud about the state of that all-American classic—the effects-driven movie. After all, what’s wrong with Green Lantern? It’s got CGI up the wazoo. It’s got a hero in tights. It’s got likeable stars. It’s got a Syd Field written-by-the-numbers story. What could be the problem? Maybe it’s not the movie’s fault. Maybe we’re suffering from a CGI overdose. When you see a character in a movie fly, is it really possible any longer to be amazed and delighted? No, no, it isn’t. The same thing is true of movie cars that jump into the air when they explode, of buckling skyscrapers, of massive alien spaceships hovering over cities. These effects just aren’t enough anymore. It’s the same old thing. Once you’ve seen Earth annihilated over and over again, it’s hard to get worked up over the next great inter-galactic threat. You couldn’t possibly be surprised by these effects unless you have the memory of a gnat. Only a few effects-driven movies have had truly original and lasting images, ones that still strike us as amazing. Alien was new in several important ways: a creature whose looks and behavior we hadn’t seen before, a gritty vision of the future we hadn’t seen before, and an alien habitation that was both repulsive and fascinating. I’d put Predator in this group, too. Not a great movie, but a great creature. Blade Runner, of course, for its noirish vision of the future, an outgrowth of the fantastic Metropolis, whose effects still haven’t been matched—or totally understood—since it was released in 1927. And while we’re back in the old days, add 1902’s Voyage dans la Lune, whose effects fascinate in part because we know they weren’t all camera tricks. What else? 2001, whose eerie crispness has been copied so often that we forget its impact when it first came out. What about Star Wars, you ask? Dont’ ask. The first one looks dated. By the way, whoever thought those overweight, middle-aged extras looked like X-wing fighter pilots? And watching the more recent chapters is like watching a three-card monte game on a street corner. You know there’s a trick, but you just can’t see how it’s done. Terminator 2’s relentless quicksilver villain was a brand new creep-out. And I’d add Iron Man as the first superhero/CGI movie I can remember that was its own send-up of superhero/CGI movies. I can remember when serious filmgoers moaned that, after Jaws, every move would be effects-driven. That came to pass so quickly and completely that we think a movie’s boring if it doesn’t have special effects. But maybe now the wheel has turned. 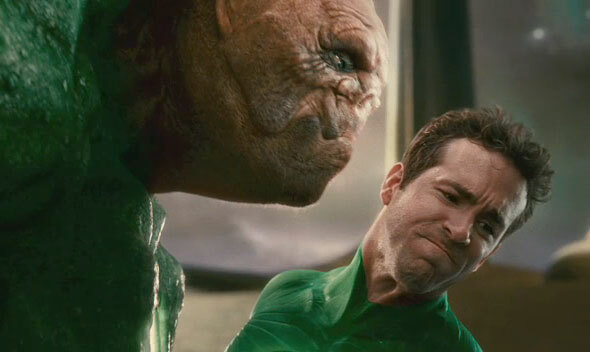 Maybe the failure of Green Lantern means we’re done with effects-driven superhero movies. For all the CGI we’re seeing in movies these days, we’re seeing precious little that’s new, that truly amazes. What we’re getting are copycat movies with interchangeable parts—same old heroes, villains, and effects with just a few cosmetic changes. So let’s put down the matte painting, the miniatures, the keyboard, etc., huh, fellows? Let’s get back to real movies about real people. There. I feel so much better for not making fun of Green Lantern. I mean, I could have said that, back in the day, we had no idea that all it took to save the world was a mood ring and a lava lamp. And I could have said that Parallax, the bad guy, looks like that spud you left in the oven too long. 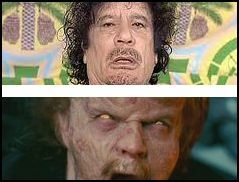 And I could add that Muammar Qaddafi should learn a lesson from his brother, Hector Hammond, about the downside of evil. And what outrageous dermatology bills must these guys have? But I feel better for not indulging myself. Let me know about a truly amazing effects-driven movie that I’ve missed—one that adds something we truly haven’t seen before.